The owner of the car on the left of this picture must have reduced their carbon footprint massively as it has hardly moved over the 12 months of this exposure. On the right, cars appear only as faint, unrecognisable ghosts. One of the fascinating qualities of these images is that they record features which the passing observer wouldn’t notice. How would you know which car had been abandoned if you took a normal photograph of a car park? The lines in the sky show the passage of the sun across the sky through the year. 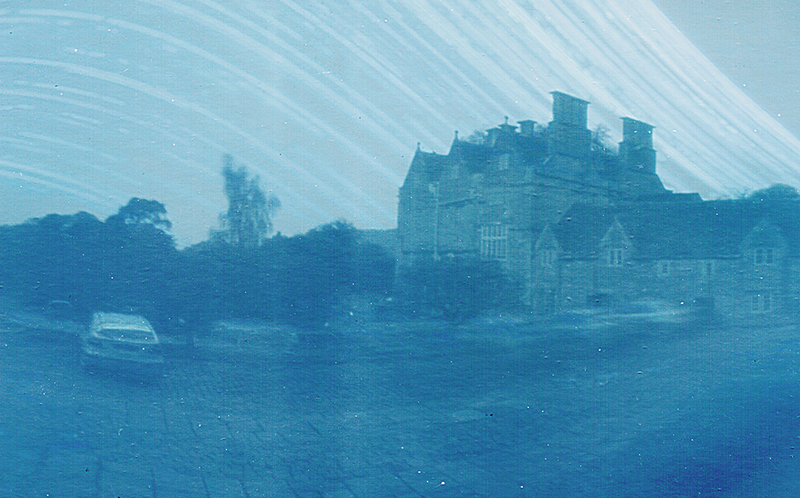 This image is part of an on-going project at Cheney Court near Bath. More images from this project can be seen here.